apparently with nothing to do but keep an eye on the new traffic lights that have taken her job away. 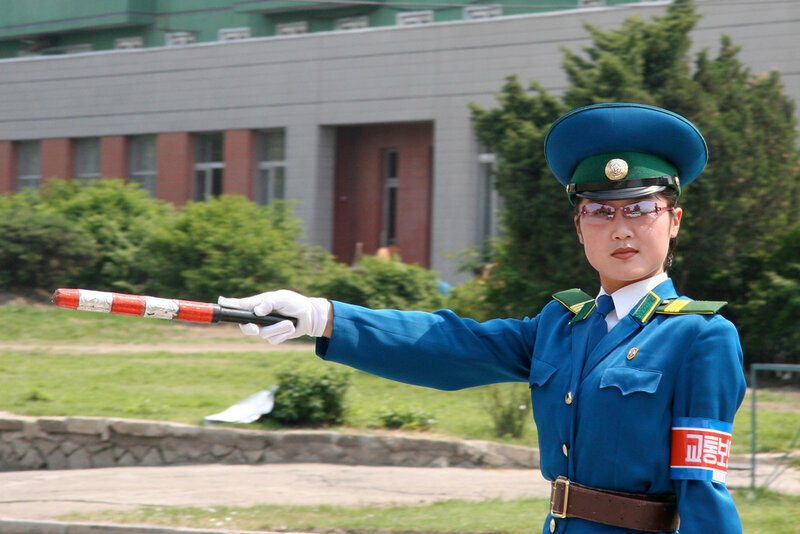 The traffic girls are known as the flowers of Pyongyang. as a passenger on the bus snaps her photo. 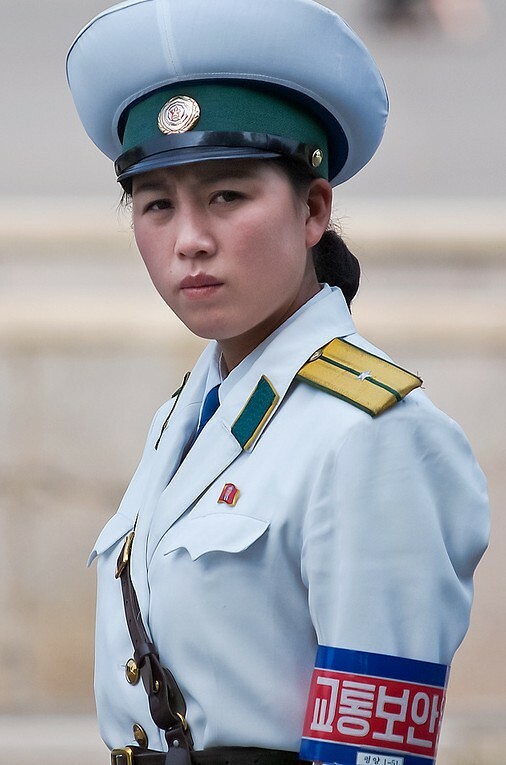 Picture taken during an escorted walk in Pyongyang, DPRK, North Korea. 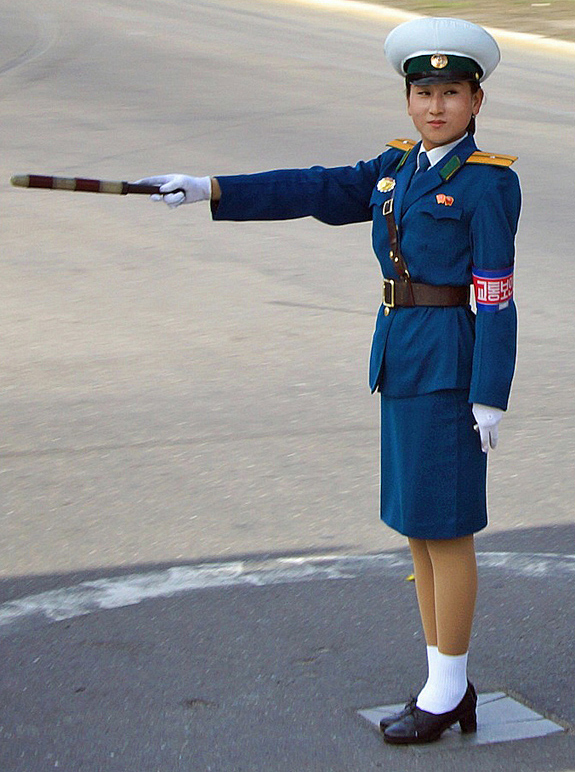 Traffic girl of Pyongyang. 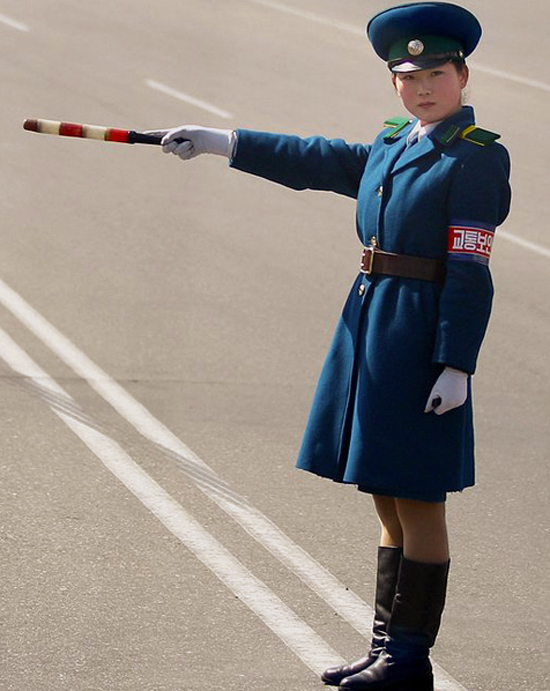 This Pyongyang traffic controller uses colored flags to direct vehicles. 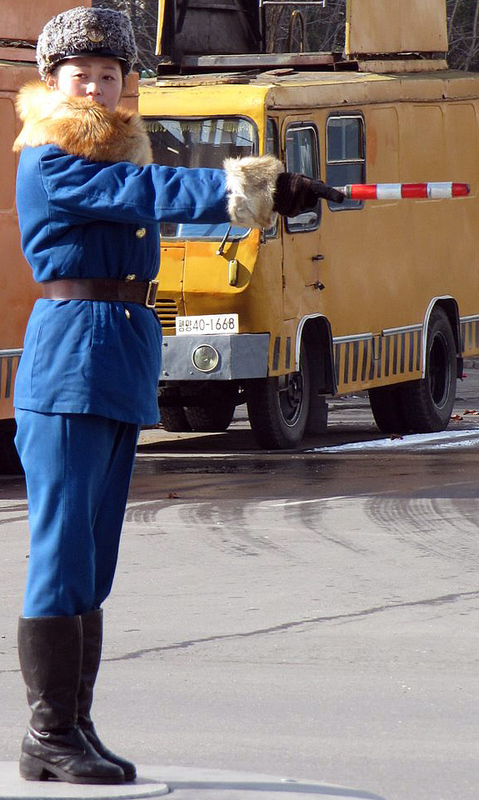 This traffic policewoman means business. Do not disobey. 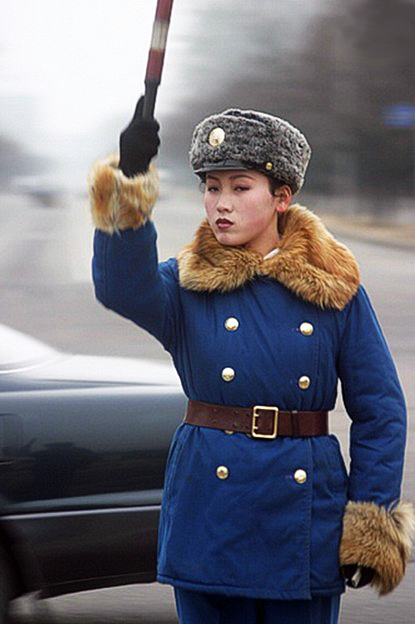 From 2006 - As our stylish traffic lady was directing a car through her intersection, this photo was taken by the car passenger. Boots are a lovely fashion accessory on this traffic director. 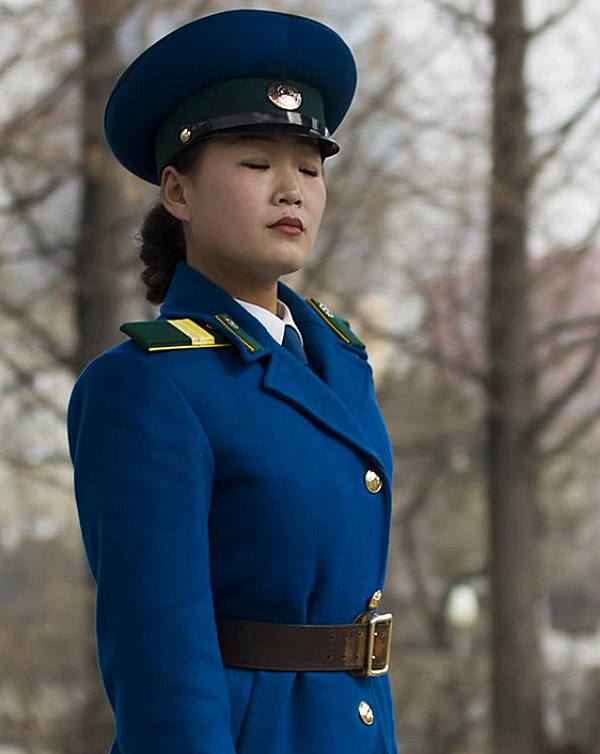 Is this Pyongyang Traffic Girl lost in thought? Thinking of some other place, some other time? Wearing the fall coat, she may be dreaming of warmer weather. Or did the camera catch her in mid-blink as she directs traffic? 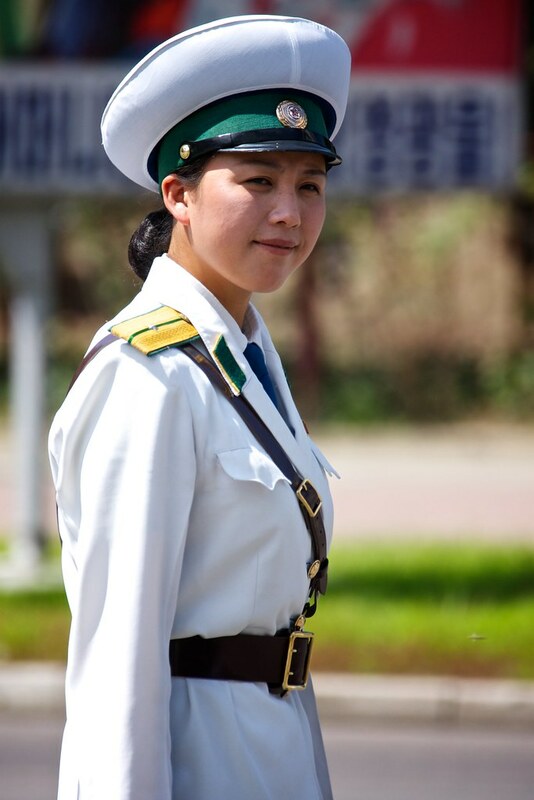 Our December 2011 Traffic Girl Of The Month returns. 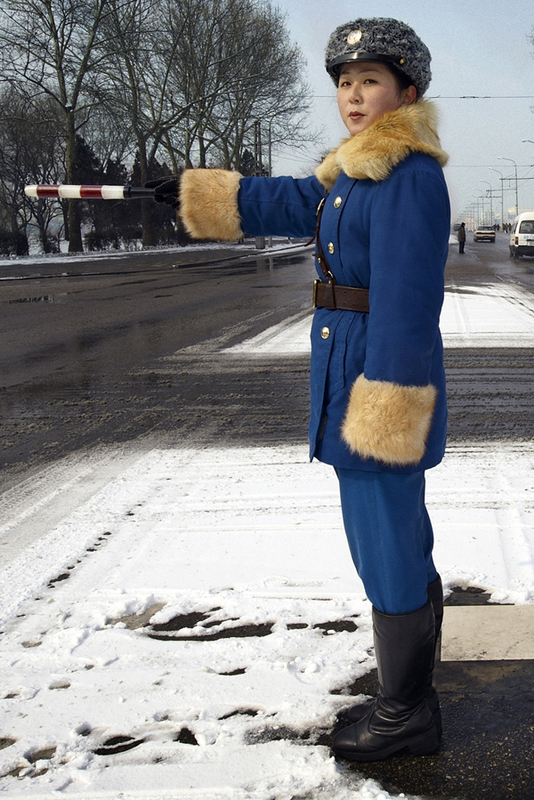 she is ready for another winter of traffic controlling.